Santa Barbara, CA – The Environmental Defense Center (EDC) is proud to announce the expansion of its Board of Directors to include three leaders widely recognized in their individual fields: Jim Hammock, Jim Salzman and Diane Wondolowski. Mr. Hammock has recently retired after a 40 year history as a top real estate appraiser with Hammock, Arnold, Smith & Company. Mr. Salzman is the Donald Bren Distinguished Professor of Environmental Law with joint appointments at UCSB (Bren) and UCLA Law. Mrs. Wondolowski currently serves as CFO/COO at the Santa Barbara Museum of Natural History. Their combined expertise is a significant benefit to the leadership of EDC, one of the preeminent environmental organizations along California’s Central Coast. Jim Hammock brings a wealth of experience in real estate valuation in the local region following a 40-year career in Santa Barbara. 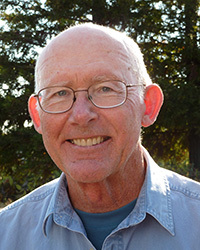 His long-time association with conservation groups such as The Land Trust for Santa Barbara County and The Trust for Public Land, and his long history with land use and open space, provide a valuable resource to EDC’s regional preservation efforts. Jim retired from the Board of the Santa Barbara Humane Society recently, after 29 years of service and several terms as Board President. Jim Salzman, in addition to working at UCSB’s Bren School and UCLA, currently sits on two high-level EPA Advisory Boards after formerly holding joint appointments at Duke University and the Nicholas Institute. Mr. Salzman is a prolific writer, having written more than eight books and eighty articles and book chapters. His most recent book, Drinking Water: A History is now in its third printing. He frequently appears as a media commentator and has lectured on environmental policy on every continent except Antarctica. 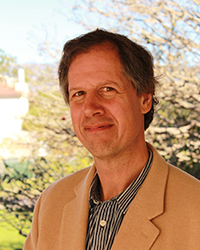 A 2012 study by Phillips and Yoo ranked Mr. Salzman as the fifth most cited environmental law professor in the field. 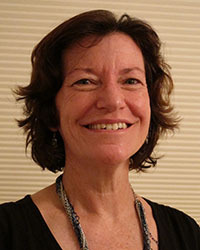 Diane Wondolowski is the Chief Operating Officer and Chief Financial Officer of the Santa Barbara Museum of Natural History. After beginning her career as a CPA, Mrs. Wondolowski went on to serve as Director of Finance with the Museum of Natural History before moving to become CFO for the Santa Barbara Museum of Art, and then returning to the Museum of Natural History. She co-founded the Not-for-Profit Networking breakfast, facilitated the Santa Barbara Nonprofit Financial Manager’s roundtable, and presents on nonprofit financial topics in addition to actively serving on the boards of numerous nonprofit organizations. “Early in my career I had the pleasure of serving on EDC’s Board of Directors,” said Mrs. Wondolowski. “It is particularly meaningful for me to return home to EDC when there is so much at stake for our environment and environmental health. Mr. Hammock, Mr. Salzman and Ms. Wondolowski will be joining the following members of the EDC Board of Directors: Gary Hill (President), Dave Davis (Vice-President), Judy Pirkowitsch (Treasurer), Katy Allen (Secretary), Dennis Allen, Angela Antenore, Daniel Emmett, Richard Francis, Mark Heintz, Gail Osherenko, Sally Semegen, and Renner Wunderlich.